These clothes have been provided to me by Fabletics through Brandcycle, but all opinions are 100% my own. This post contains affiliate links for your convenience, which means I receive a small financial compensation if you make a purchase using this link. You can read more about affiliate links here. 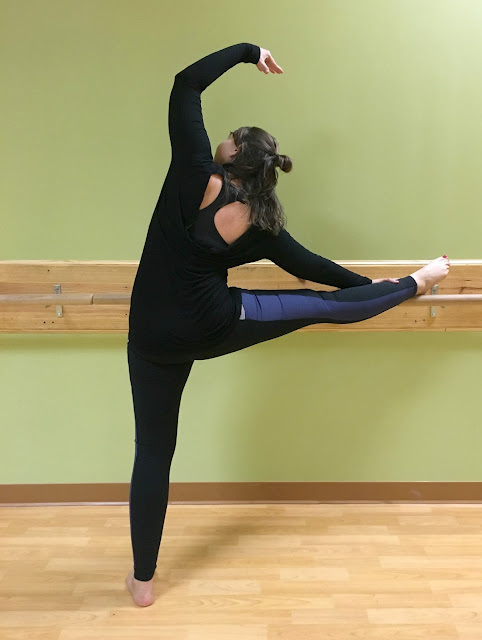 I have been taking Barre classes for about a year at my local YMCA and lately I have gotten several questions about it, when posting about it in my Instagram stories. 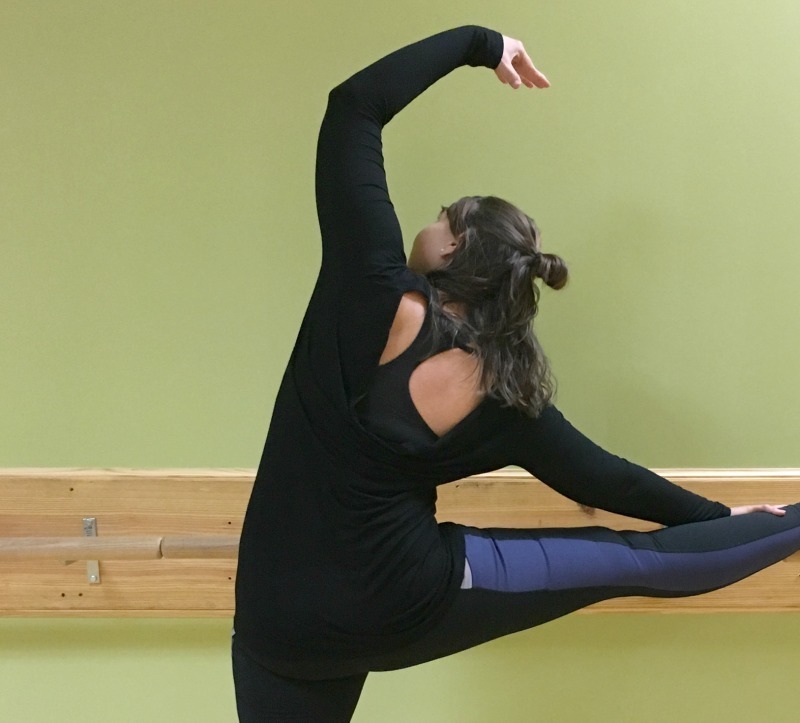 Barre is a ballet-based full body workout, which targets the lower body, abs, and arms. One of the questions I have gotten is what to wear, so I am here to break it down for you today. I prefer to wear a longer, flowy top over a sports bra. There are so many options to choose from: keyhole backs, strappy tanks, mesh, criss cross backs; the list goes on. I even used my Cricut to make custom Barre tanks. I am wearing a cowl back long sleeved jersey tee that allows my sports bra to show through. Barre is low impact, so there is not a lot off jumping around, which means a low or medium impact bra is fine. I am pretty small chested, so I wear a basic racerback bra without cups or underwire. I wear either capris or long leggings; no shorts. 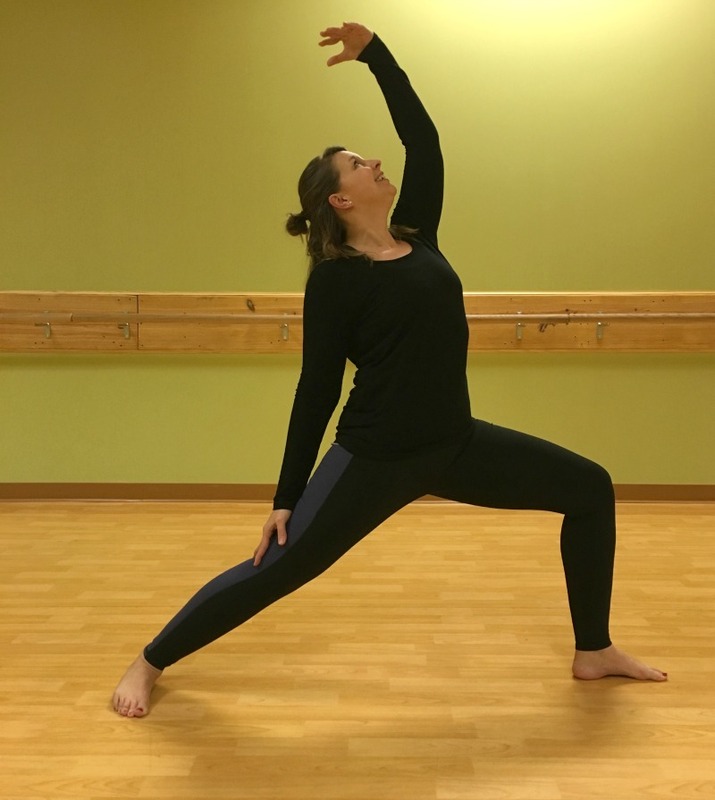 There is a lot of lifting your leg to the barre and bending over and you do not want to flash your neighbor. 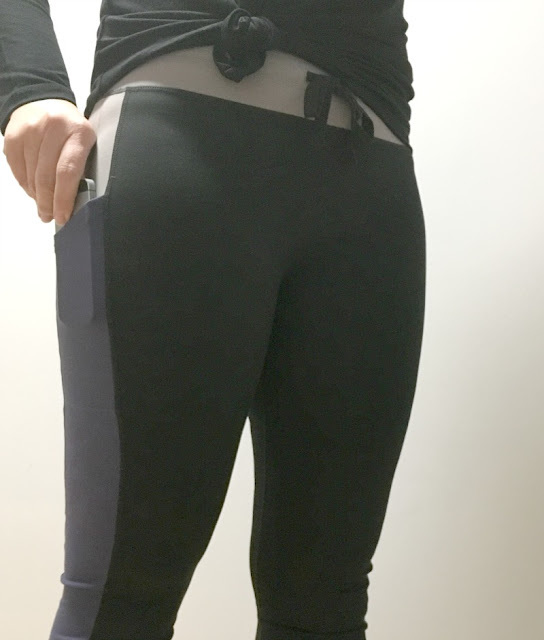 There are so many cute options for leggings with mesh panels, bright colors and patterns, and cutout details. I am wearing the color block Salar Statement Powerhold legging from Fabletics that features a drawstring and side pockets. These fit really well, hugging my curves and staying in place while bending and stretching. They are also moisture wicking and quick dry to keep me comfortable when I sweat. I cannot stand for my hair to be in my face so I pull my hair back with a ponytail holder and wear a headband. I occasionally wear grippy socks, when it is cold out. 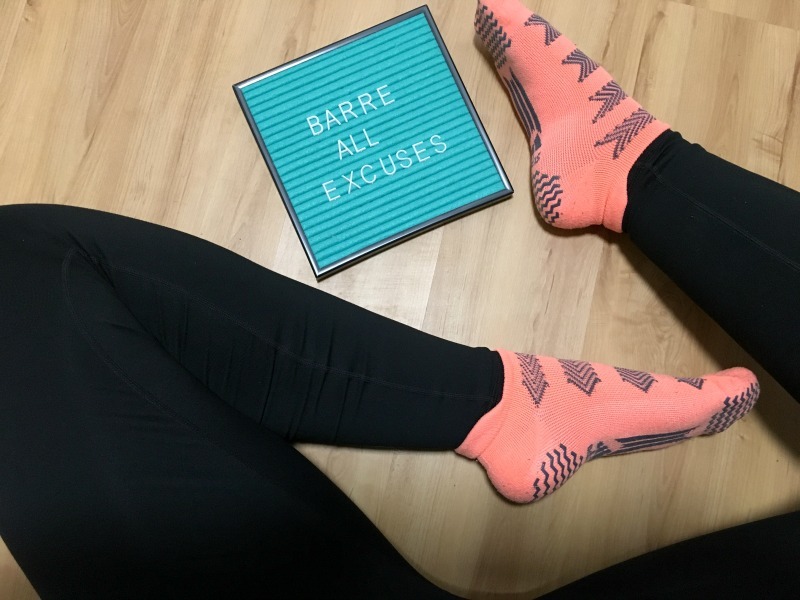 You do not wear shoes in barre, so if you do not want to go barefoot, they make several styles of footie socks with grip on the bottom. You may also want to bring a water bottle. Even though it is low impact, you want to make sure you stay hydrated throughout the workout. 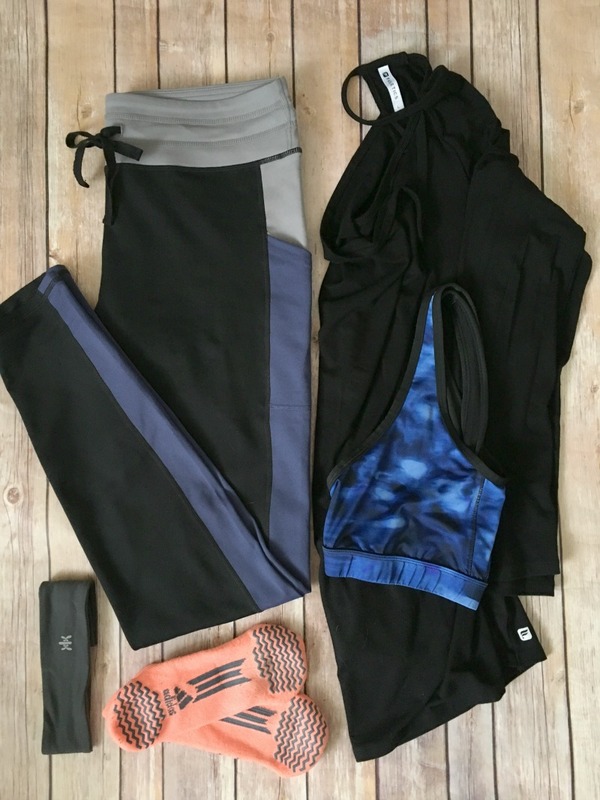 If you are just getting started on your fitness journey and need affordable, stylish workout gear, check out Fabletics. Fabletics offers a wide selection of tops, tanks, tees, sports bras, hoodies, jackets, leggings, pants and shorts to fit every fitness level. When you become a Fabletics VIP, you can get your first 2 pairs of leggings for $24 (a $99 value!) and take advantage of their other perks like additional discounts, exclusive products, access to workout series, and more! Now that I have joined a gym, I’ve been dying to try fabletics! I like the price and designs :) one day I will try barre classes - slightly intimated but I do love low impact workouts! You should def try fabletics! You can't beat the price and the quality is great! Their workout styles are cute. I would burn up in long sleeves, though! I will have to stick to short sleeves or a tank top.